AISat is a prototype satellite to demonstrate a space-based AIS (Automatic Identification System) terminal for receiving signals from sea vessels to track ship movements on a global scale. 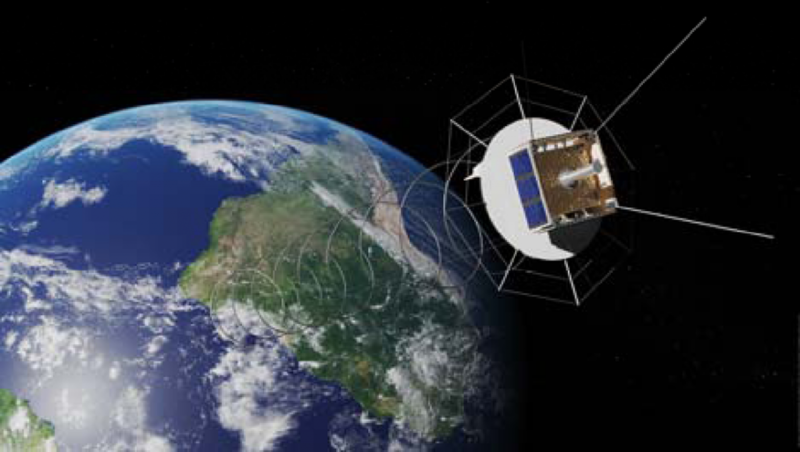 Unlike other AIS spacecraft, AISat uses a helical high-gain antenna for the reception of AIS signals on highly frequented sea areas where conventional AIS terminals can not provide usable data due to signal overlap. These signals can be transmitted from ship-to-ship and ship-to-shore to allow the monitoring of a local area, but deploying space-based AIS terminals allows a broad coverage and data relay to ground stations for monitoring of large sea areas. However, due to the large footprint of satellites, overlapping and signal collisions become a problem, especially for frequented traffic routes. AISat will demonstrate an approach that ensures the acquisition of usable data especially for highly frequented areas. AISat is based on the Clavis satellite bus that itself is based on the PC/104 cubesat platform. The bus was developed by the German Aerospace Center to provide a cost-effective satellite platform that requires little man power for integration using commercially available CubeSat components. Clavis was designed to be able to host different payload types with high flexibility using a defined mechanical interface and a unified electrical and data interface. 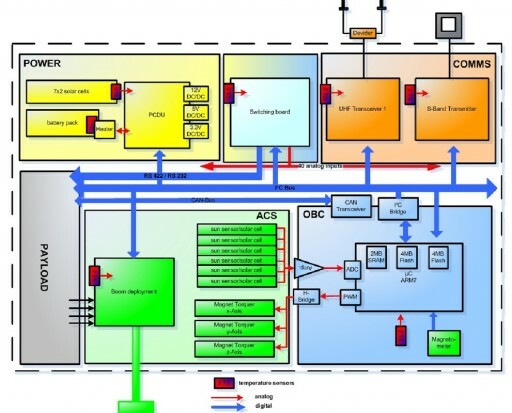 The satellite bus uses a quad-stack configuration made up of the PC/104 cubesat boards with a back plane that connects the individual boards and also provides the data and electrical interface for the payload. Clavis uses body-mounted solar cells for power generation – five panels each consisting of 12 GaAs cells are installed on five side panels of the spacecraft to generate up to 15 Watts of power that is fed to a Power Conditioning and Distribution Unit which controls the state of charge of a 40Wh battery pack and distributes power to all satellite subsystems. The spacecraft uses 3.3V, 5V and 12V power buses. A switching board adds switching functionality to the power system and provides bus protection. The spacecraft uses an ARM7 processor as the centerpiece of the Onboard Computer connected to the CAN and PC data buses as well as analog lines to control the attitude control system. The Onboard Computer includes 2MB of SRAM and 2x4MB of Flash Memory for avionics software and mission data. Attitude determination is accomplished through the use of the solar cells as sun sensors, a three-axis magnetometer and a three-axis gyro unit. 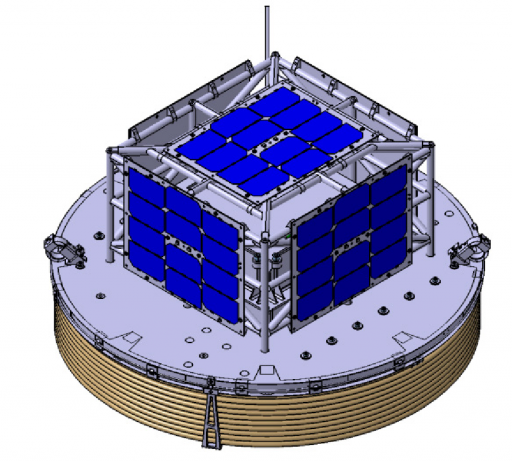 AISat features three magnetic torquers for attitude actuation, but the satellite will be stabilized through a gravity-gradient generated once the large antenna is deployed. The satellite uses a UHF communications system. A UHF transceiver and two monopole antennas with omni-directional coverage are used for telemetry downlink and command uplink. AISat features a large helical antenna to take a new approach to AIS signal collection. Helical antennas are suited for transmitting and receiving circularly polarized signals and provide a high directional sensitivity. Their gain characteristics are excellent and increase with the number of windings. Using a high-gain antenna allows for a narrow aperture that only illuminates a very small footprint on the ground. The drawback of a helical antenna is the requirement of a conducting plate on its mounting interface acting as a reflector. 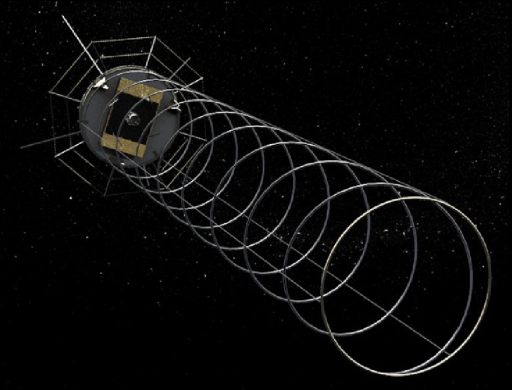 The AISat helical antenna measures four meters in length and 0.57m in diameter when deployed featuring a little over eight windings. 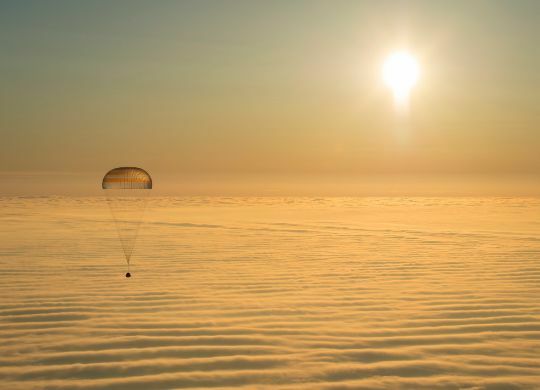 It launches in a spring-loaded fashion that is released after spacecraft separation. The deployment is controlled by thin retracting cords that stop the antenna once it reaches its fully deployed position, preventing it from extending further due to the spring force. The antenna consists of a core using cylindrical sandwich struts and a fiber fabric hose to provide stability – the hose surrounds an inner core made of hard foam. The core is surrounded by thinned copper wires forming a metallic fabric tube. The control rods are electric isolators and ensure a stable self-deployment of the antenna within a reasonable timeframe. Using the helical antenna, AISat can receive Class-A and Class-B AIS signals and the AIS Search and Rescue Transmitter signal of rescue craft and vessels in distress. AIS data is stored onboard and downlinked to ground stations for processing and distribution.